AKIPRESS.COM - Former Brazilian President Luis Inacio Lula da Silva has been nominated to run for office again in October's elections despite currently being in jail on a 12-year sentence for corruption, AFP reported. Some 2,000 members of his Workers Party declared him their candidate by a show of hands in Sao Paulo. Lula leads most opinion polls but may not be allowed to stand. He has denied taking bribes and says his conviction is part of a plot to prevent him returning to power. A message from the former leader was read to party members, many wearing Lula masks, who had gathered for a convention in Brazil's main city. "They want to scrap the people's right to choose the president," the message said, quoted by AFP. "They want to create a democracy without the people. We have an enormous responsibility ahead." 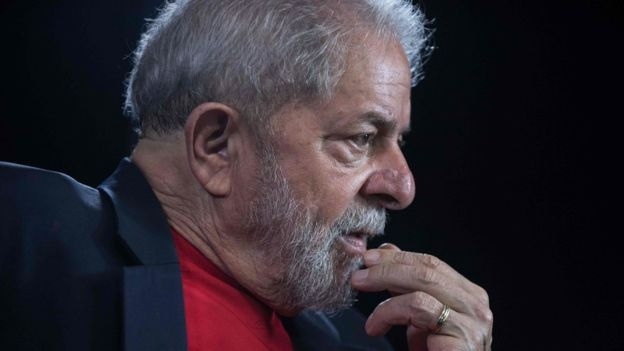 The party is not expected to name Lula's running mate until Monday.